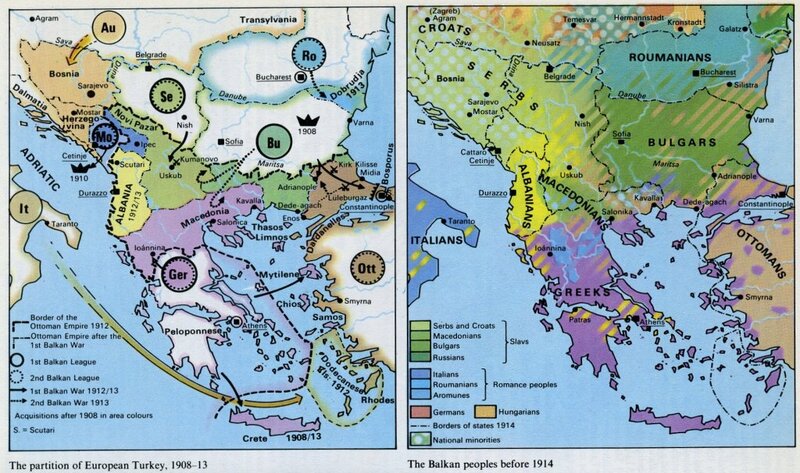 Ronald Bobroff, “Behind the Balkan Wars: Russian Policy toward Bulgaria and the Turkish Straits, 1912-13,” The Russian Review, pp. 76-95. 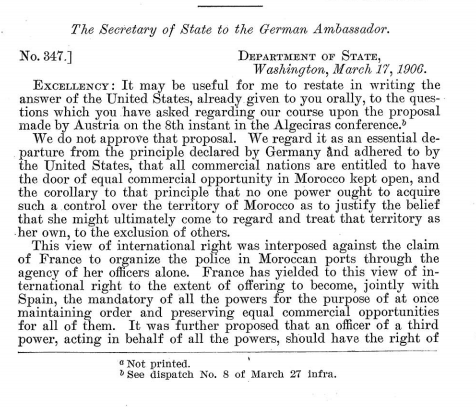 Ömer Turan, “American Protestant Missionaries and Monastir, 1912-17,” Middle East Review, pp. 119-136. 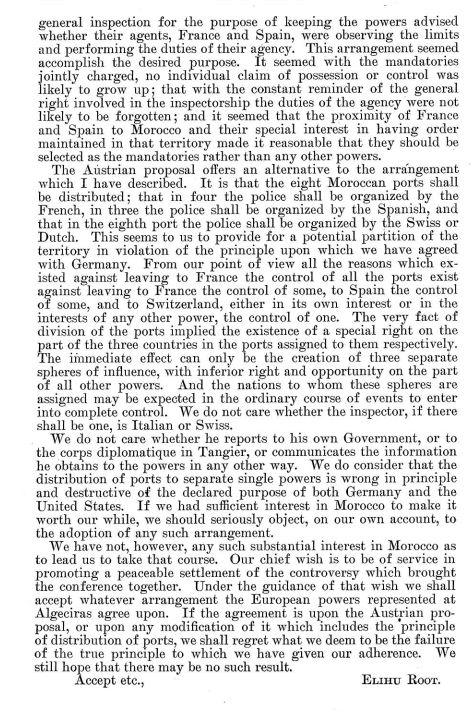 W. David Wrigley, “Germany and the Turco-Italian War, 1911-1912,” International Journal of Middle East Studies , pp. 313-338. 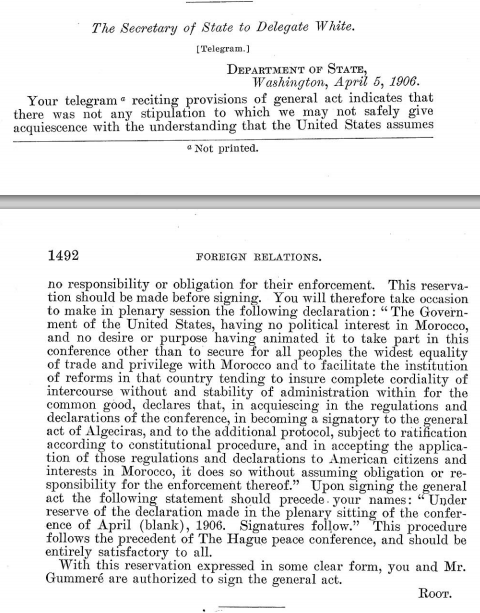 Documents: Two cables from Secretary of State Elihu Root–one to the German ambassador, the other to US diplomats on the scene–dealing with the U.S. response to the Algeciras Conference (1906), which addressed the German-French rivalry over Morocco.